Graduated in 1961 with Bachelor of Architecture with Honours from Liverpool University. As a Managing Director of the firm, his responsibilities lie in the direct role of Director in charge of design and documentation on many different major projects including masterplanning, residential, retail and commercial complexes. His particular area of expertise, however, lies in marina design in which he is a leading consultant as a result of his experience a keen ocean-going yachtsman. 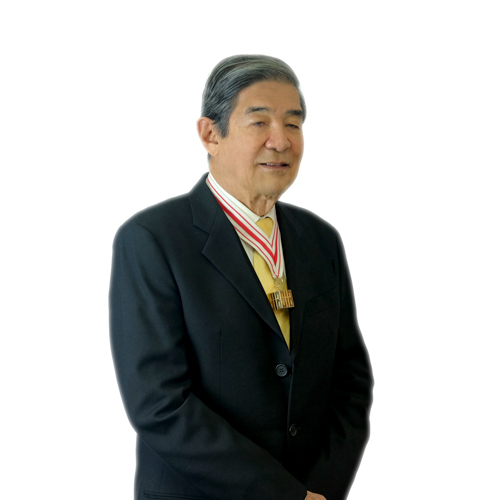 His professional record as an active member of the Singapore Institute of Architects began in 1965 when he became a member of the Publication Committee. In the following two years he was a Council Member and held a position on the Practice Committee. In 1968, he became Honorary Secretary of the Singapore Planning and Urban Research Group, and was later promoted to Chairman holding the position until 1970. The same year, he was appointed by the Minister for Law and National Development as alternative representative of the Singapore Institute of Architects on the Development Control Committee, and a Member of the Singapore Planning and Urban Research Group. In 1983 his involvements extended to affiliate with the University and he was appointed as an external examiner for the University of Singapore and later continued his affiliation with the SIA as a Council Member and Chairman of the Practise Committee. In 1988 he was made Honorary Secretary and two years later became the Vice-President. He is now active in professional practice in the Singapore Institute of Singapore (SIA) of which he is the Past President.